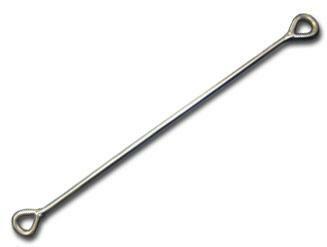 Also known as a Gill-Needle, this basic instrument is used at the divers end of rig ropes. Attaches to the speargun shark clip. Once removed fish from spear, the speed spike is fed in through the gills, out the mouth, leading fish onto the rig/float rope.